From that awkward 2D to 3D transitional period. 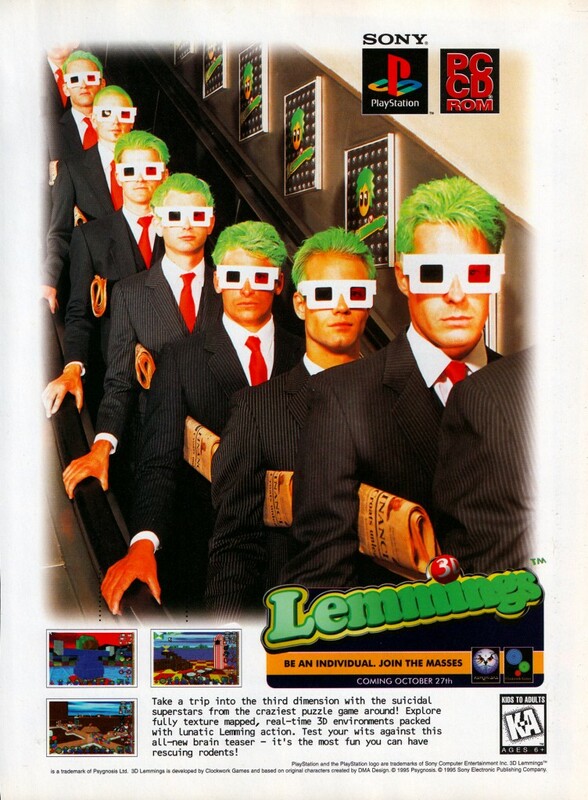 3D Lemmings was an attempt to bring the classic puzzle gameplay of Lemmings into a fully realised 3D world. As 3D gaming was in its infancy at the time, the extra dimension wasn’t quite as well implemented as one would have hoped.